Become an Expert in HTML in 2 Hours. Learn HTML Quickly - Make Professional Websites with HTML From Scratch. If you have always wanted to make websites, but never knew where to start, this course is for you. This course will teach you everything you need to know to start creating websites - No coding experience needed! Even if you know nothing about code or computers, when you are finished with this course, you will be a complete expert in HTML. We go all the way from the theory behind HTML, to created complex forms and web pages with HTML. On top of that, throughout this course, there are countless quizzes, exercises, and projects to help you really get the feel for HTML. 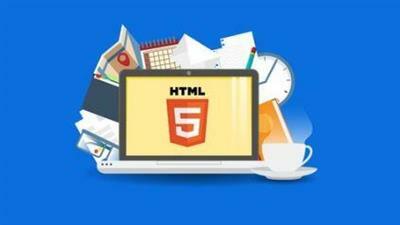 With this course, whether you are an experienced programmer, or a complete beginner, by the end of this course, you will be a complete expert in HTML. In the first section, I will not be covering anything related to HTML, instead giving a comprehensive view on what the course is about and how it will be played out. This will help you get a better understanding if the course is for you or not. In the next section, I am going to be giving an in-depth look at the theory behind HTML. This includes how it works, the general inner workings of how HTML is laid out, and how to comprehend and understand HTML code. This will give you a solid foundation for the future sections of creation. In the next section, we start working on some basic syntax in HTML, and how to use it. This includes getting familiarised with the text editor, and working on writing basic code, such as creating text, and then formatting and manipulating that text. Once we understand the basic coding, we will move on to more complex topics, such as images, links, and lists. These topics are harder than other topics that we have previously covered, however these topics are not hard enough to the point where the user does not understand the topics. After we cover these topics, we will move on to a more complex topic; tables. Tables are quite hard to understand, however, we will cover the theory and practical uses in-depth. We will be creating a table from scratch, as well as discussing how a table works. Finally, we will cover forms in HTML. Have you ever seen a login or register form? Well this is made using HTML. We will cover everything about forms, and how to use them. We will also create multiple forms with real-life uses. By the end of this section, you will be able to fully understand how forms work, and how to create a HTML form from scratch. free download HTML Become an Expert in HTML In 2 Hours - For Beginners.HTML Become an Expert in HTML In 2 Hours - For Beginners full from nitroflare rapidgator uploaded turbobit extabit ryushare openload littlebyte zippyshare.